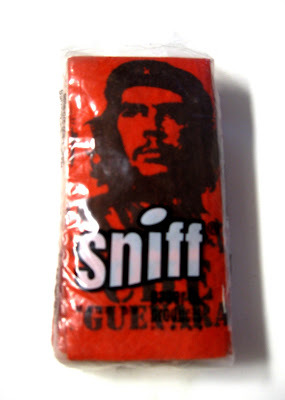 I got this pack of tissues with Che Guevara's face printed on them about a year ago as payment for helping a guy move the stuff in his store to a new location. I keep the pack on my desk next to me. I dare not blow my nose because that would ruin them.